A lot of mushrooms have been picked and packed and shipped all over the world since our last visit to Talula’s Table in Kennett Square, PA. A great deal has changed, too, at this highly regarded food emporium in Chester County since we dined here in November of 2008. Let’s begin by explaining a little about Talula’s Table. 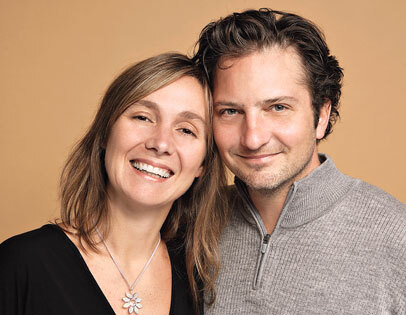 The restaurant/gourmet food market was the brainchild of Aimee Olexy and Bryan Sikura, husband and wife team who sold their immensely popular BYOB, Django, of South Street fame, several years ago, and headed out to horse-farm country to continue their passion. During the day, Talula’s Table (named after their daughter) sells gourmet meats and cheeses, luncheon sandwiches and a wide-array of sometimes hard to find foods that the locals have come to enjoy. When the store closes at 7:00 P.M. each evening, the epicurean feast begins . This is the table that Conde Nast Magazine called “the toughest dinner reservation in America”. It seats 8 to 12 and can only be reserved by being the first caller each morning at 7:00 A.M.; and if you are fortunate enough to be THAT caller, you now have the table for the exact same date……NEXT YEAR!! Of course, looking on the bright side, that gives you time to round up friends and work up an appetite for the eight courses that will be presented. The menu changes several times each year to match the seasons but, aside from allowances for specific food allergies, you will be eating just what they give you. There is no selection other than that specific evening’s menu. Not to fear, you’ll be pleased with their choices. 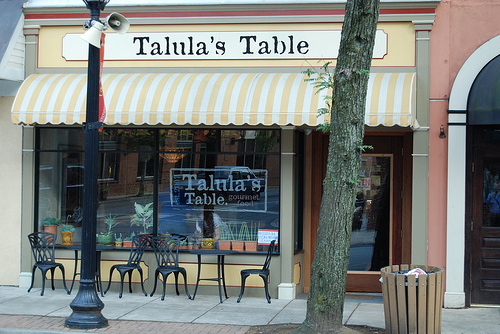 I mentioned earlier that there had been several changes at Talula’s Table in the past few years. Primary among them would be that Aimee and Bryan are no longer together as spouses or business partners. He has re-married and is in the process of opening a new restaurant in Rittenhouse Square. Aimee has partnered with restaurant guru, Stephen Starr, and has opened a new place, Talula’s Garden, on Washington Square. 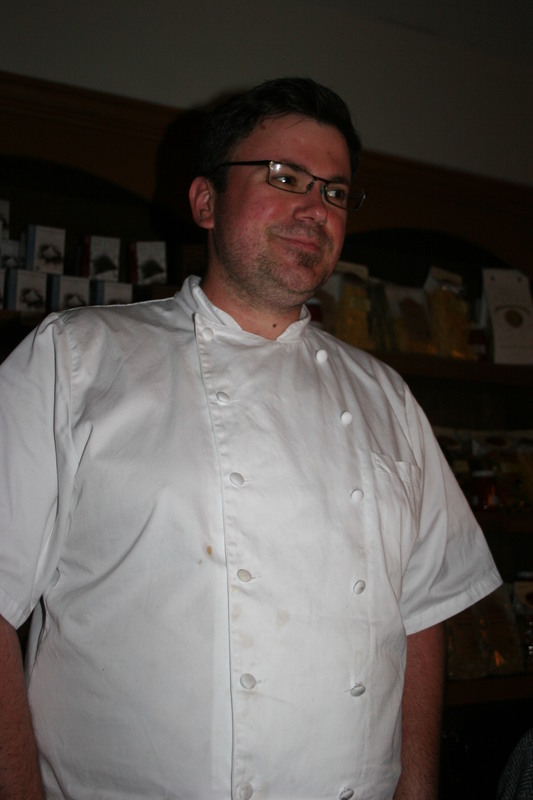 Bryan’s former role as chef at Talula’s Table is now being held by Matt Moon. Matt was the sous-chef when Bryan was doing the cooking and based on what we enjoyed on this Spring Friday, Matt was paying attention during his time in the kitchen because everything he prepared was fantastic. The food was perhaps even better than on our first visit. Thank you, Matt for a great evening of excellent dishes. Aimee was not there on this evening as she was in the city over-seeing her other restaurant. Both she and Stephen Starr have a lot invested in the Philly project and I can’t wait to give Talula’s Garden a try. 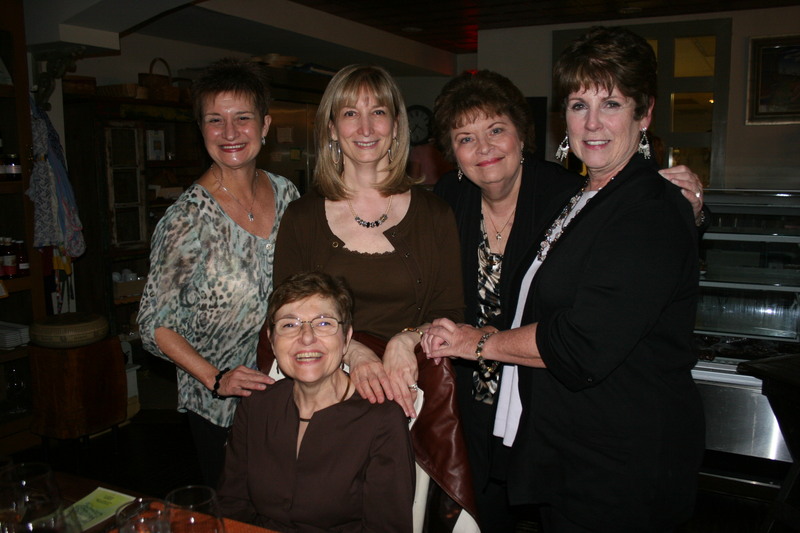 There were nine of us for dinner and we were looking forward with great anticipation to the evening. 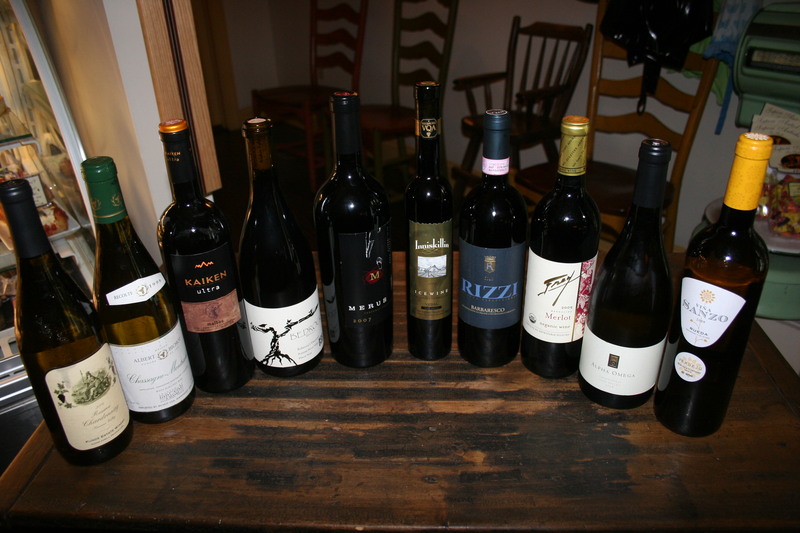 We had ten bottles of wine between us so each course would have an appropriate vino to enhance the dining experience. As I mentioned earlier we had ten bottle of wine with us. Time and energy do not permit me to list them all but I will mention that the absolute star of the night was Gerry’s 2007 Merus, Cabernet Sauvignon an absolutely stunning wine that he generously shared with the table. We had some nice Chardonnay’s with the early courses including a 1999 Chassagne-Montrachet and some Malbecs, a Barbaresco, a nice Pinot Noir and a 2002 Inniskillen, Vidal, Ice Wine to go with our dessert course. 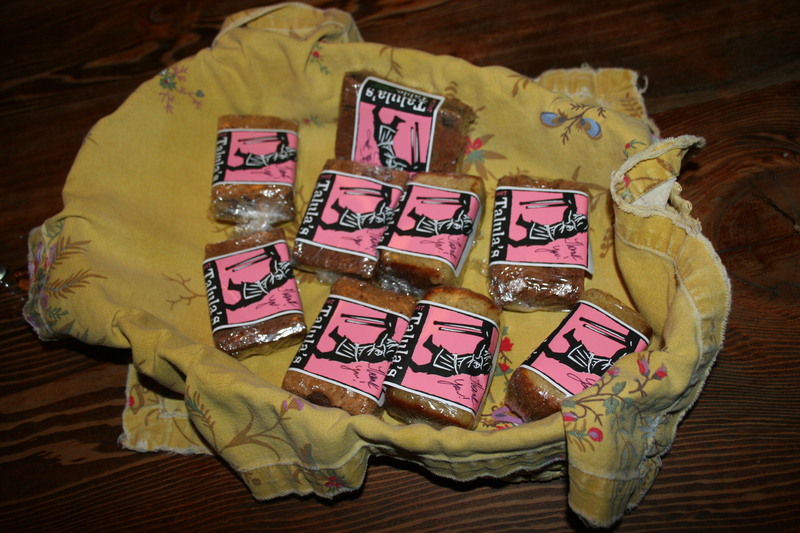 and now for the main attraction…….the FOOD ! 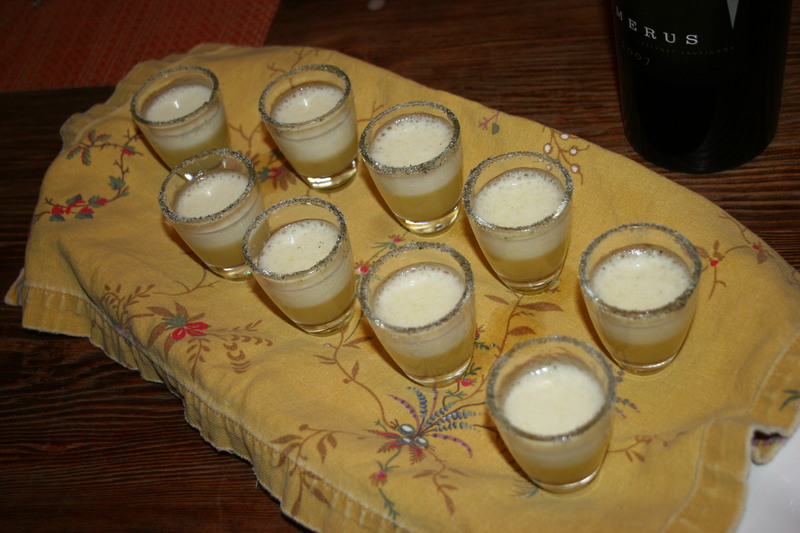 The evening began shortly after 7:00 P.M. with a little amuse bouche, three of them to be exact. 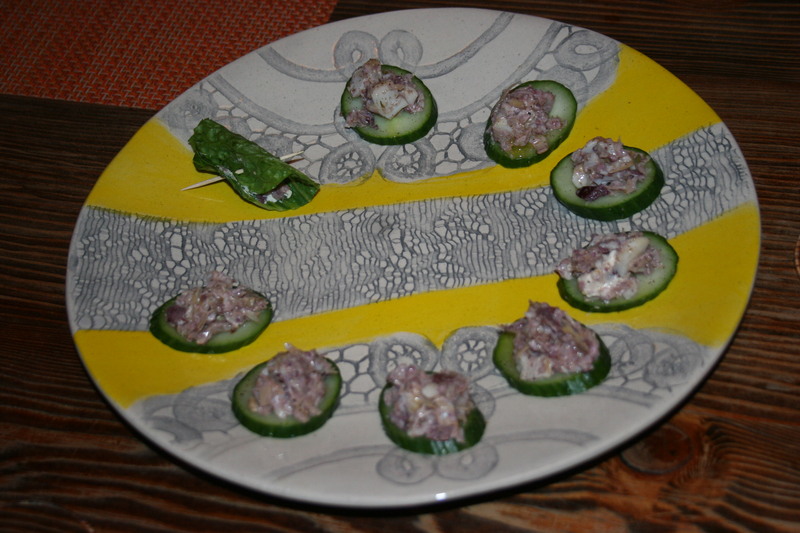 The first was a very tasty octopus salad served on a slice of cucumber. Ironically, as part of the pre-dinner preparation the staff inquires a couple of days prior to your reservation if anyone in your party has any specific food allergies. We had one person that we reported to them with a cucumber allergy. The chef evidently remembered and his salad was served wrapped in a lettuce leaf (about 11:00 o’clock in the picture above). 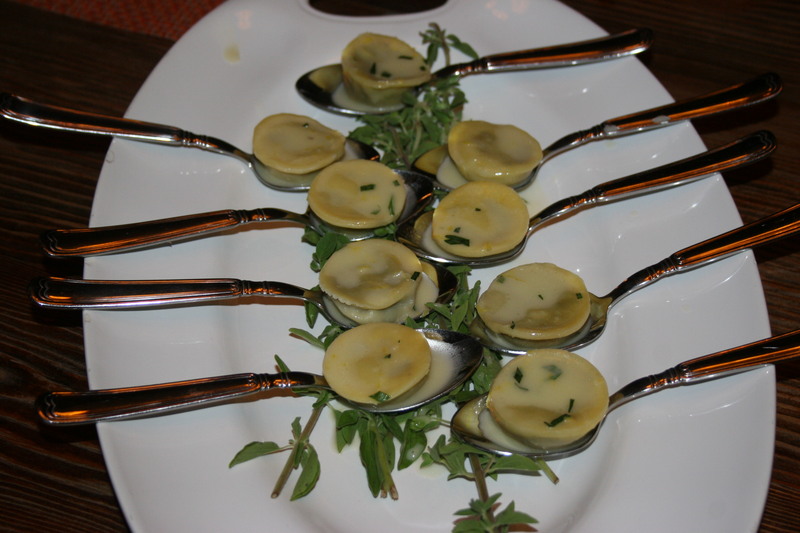 Next up was an excellent mushroom ravioli, each served on its own individual spoon. Two bites and we were ready for our final pre-course offering of the night. We were treated to a refreshing pineapple cream soda with sugar-coated rim. Aside from tasting delicious this helped cleanse our palate and prepare us for the first of our eight courses for the evening. Don’t ask me how it happened but I totally forgot to take a picture of our first course. What you would be looking at had I not been so neglectful was the Fava Bean Custard, Louisiana Crawfish, Local Watercress and Sauce Nantua. The crawfish were tasty, the custard surprisingly good and we were off to a good start. This might have been my favorite course of the evening. 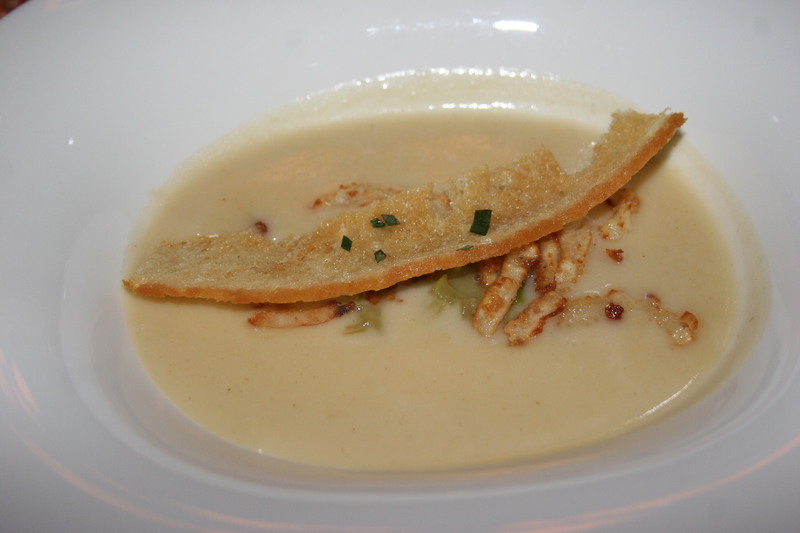 Spring Potato Soup, Abalone Frites, Wild Fennel, and Green Garlic Toast. The soup was outstanding and the garlic toast went so well with it. I think all were happy to see that the portion was more than any of us would have expected. The entire table was very pleased with this particular offering. 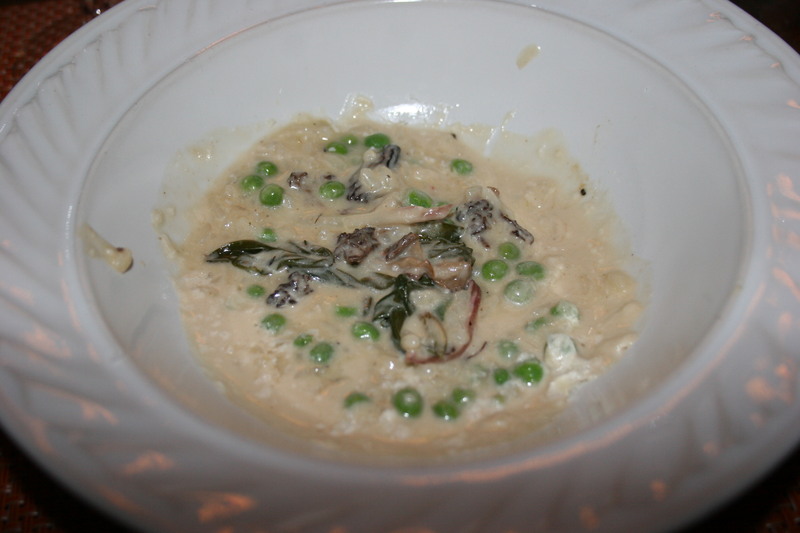 Next came another crowd favorite; Morel Risotto, Sweet Peas, Charred Ramps, and Fresh Pennsylvania Goat Cheese. The rice was cooked perfectly and the combination of flavors with the peas, ramps and cheese was memorable. Right about this point we have nine happy diners. 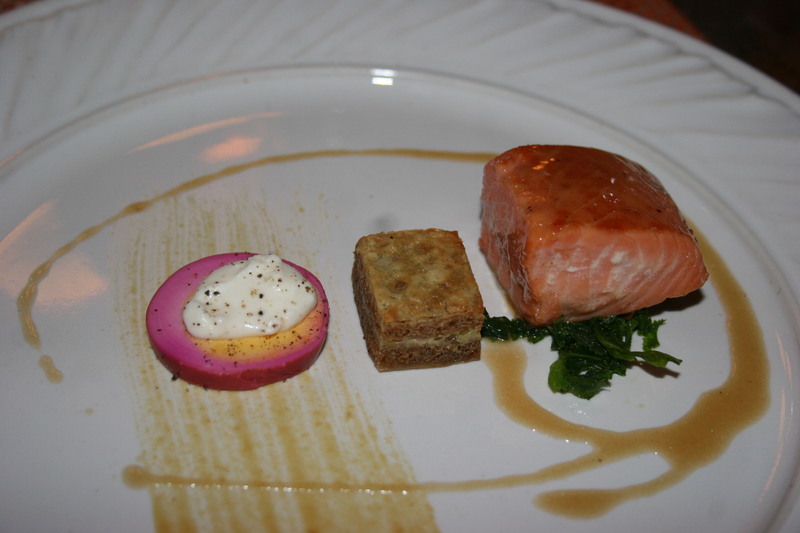 I won’t speak for the others but I stayed very happy with course number four, King Salmon, Petite Rye Kugel, Smoked Sour Cream, and Pickled Egg. This unusual combination clicked and the smoky flavor made the salmon and the entire dish a real culinary treat. High marks to Chef Moon for this course. 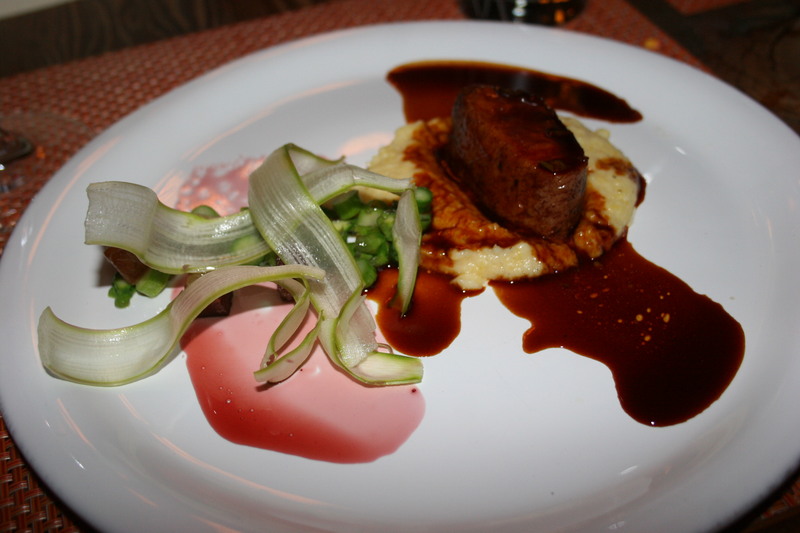 Very nicely presented on the plate was the Roasted Boar Loin, Rhubarb Glaze, Asparagus and Bacon Lardons. Parts of this dish were fine, there is never anything wrong with bacon, but the boar was, for me, a little too chewy. It may be that is just the nature of boar meat but this was not one of my favorite dishes. I think from speaking with some of the others that they had a similar reaction. 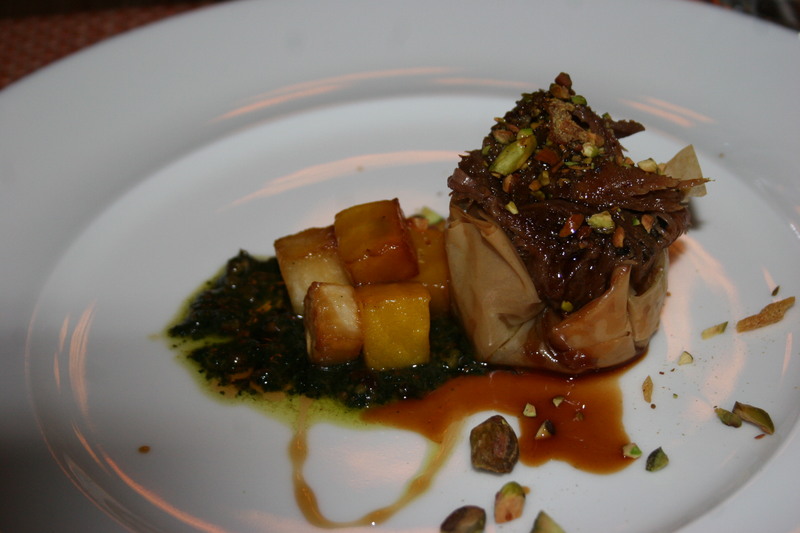 I felt much better about the next entree, Lamb Baklava, Swarmbustin Honey Glazed Turnips and Gold beets, with Nettle Puree. Lots of good flavors in this offering with the beets and turnips adding just the right tastes and textures to the lamb. 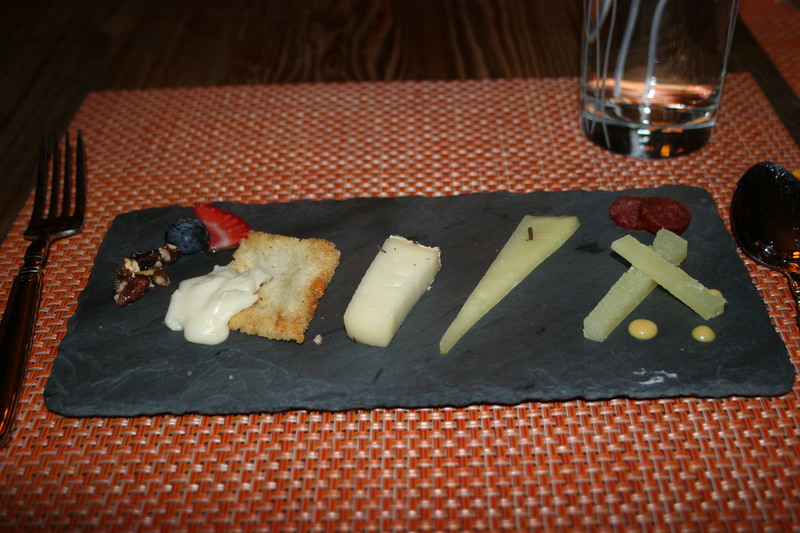 Course #7 was the Spring Picnic: Artisan Cheese Collection, Candied Nuts, Berries, Talula’s Sausage, and Mustard. Very creative and the little slices of sausage and dabs of mustard in combination with the variety of cheeses made this a great prelude to the dessert portion of the meal. 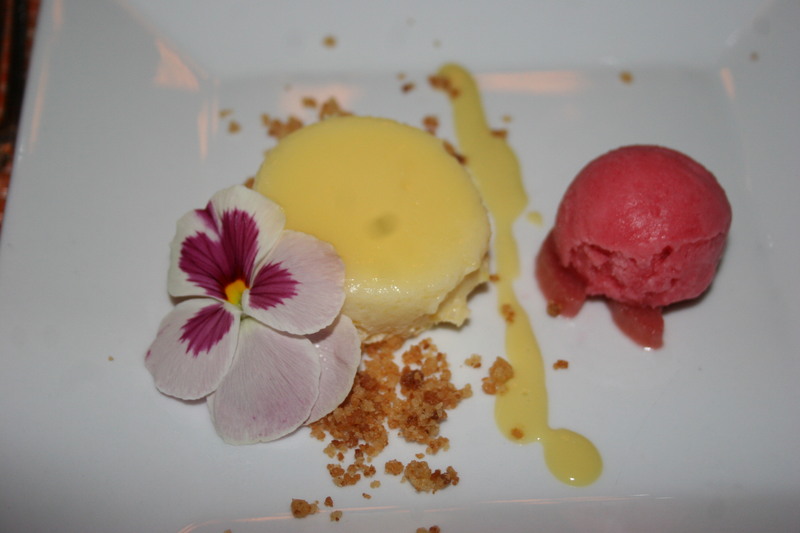 Almost too pretty to eat was the dessert course of Steamed Lemon Pudding Cake, Rhubarb Sorbet, and Lavender Anglaise. Everything on this plate was delicious and how often do you get to have rhubarb sorbet? Our very capable server, Kate, and her entire team, did a fantastic job all evening presenting and explaining the intricacies of each course. Water glasses were kept full, wines poured as needed with extra glasses appearing without prompting. It’s obvious that the entire staff at Talula’s takes pride in their performance. It must be nice for Aimee to know she can devote the bulk of her time to making sure her new project gets off to a good start and that her staff back at Talula’s Table are doing a great job in maintaining the high standards she has set. 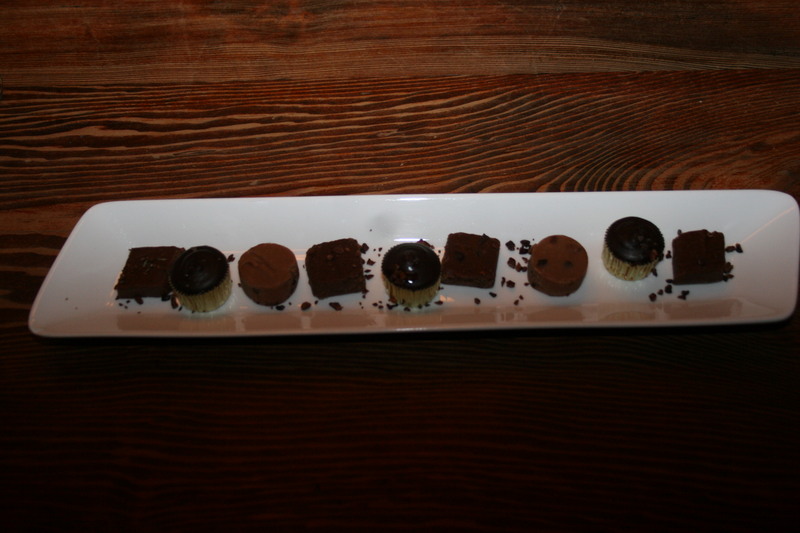 Our meal was not completely over because as we finished off the last of our wines, out came a taste-tempting array of chocolate candies to make sure that we ended our night on a sweet note. Even this was not the final offering. As we were presented with a little something for tomorrow. The final offering was an individually wrapped chocolate brownie. It went perfectly with coffee the next morning at home. I would have to say that this second visit to Talula’s Table was even better than the first. It seemed the portions were larger and flavors were better all around. I would suggest you call some morning at 7:00 A.M. and catch one of these hard-to-get reservations. The year of waiting will go by quickly in anticipation. 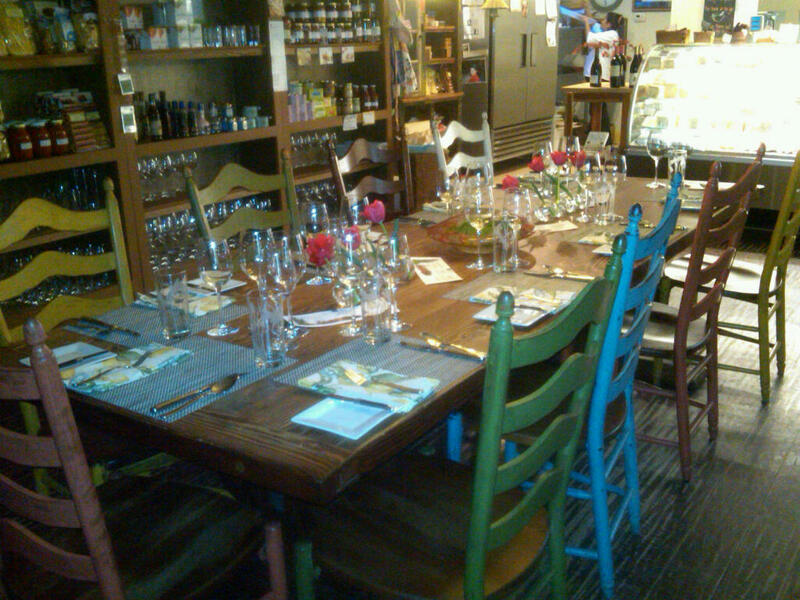 Meanwhile, do as I am doing and make plans to try Aimee’s other dining spot at Talula’s Garden in Philly. Lots of little events to mention and it’s been awhile since I did this, so here goes. 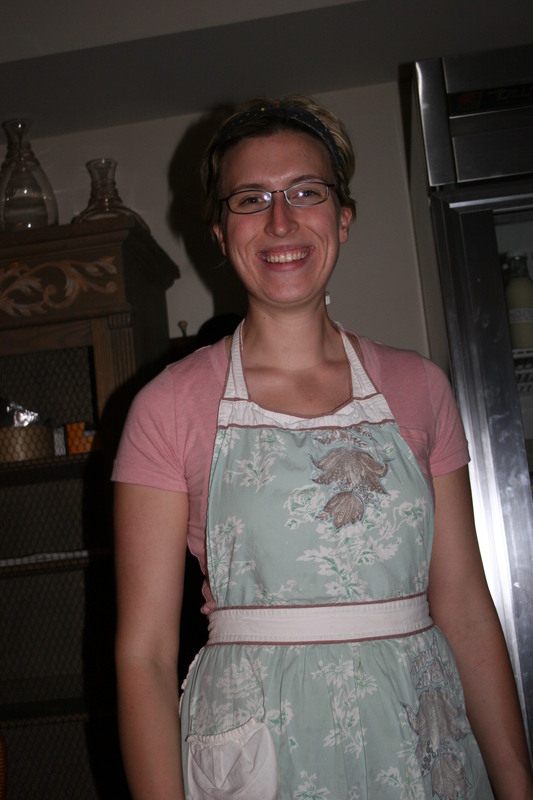 First, it was very sad to hear that Bryan Sikura and Aimee Olexy, the dynamic duo that made Talula’s Table in Kennett Square, PA, the ultimate Delaware Valley BYOB, have split up. The rumors had been prevalent for months but a front page article in this past Sunday’s Philadelphia Inquirer gave all the sordid details. In fact, I felt it may have gone a little too far. Suffice to say, recent diners are saying that Talula’s continues to shine and gives every indication it’s popularity will continue going forward. We certainly wish both Bryan and Aimee the very best and ideally, if it’s meant to be, perhaps they can find again what they once had. Another loss, of a totally different nature took place yesterday when the Robert Parker Wine Board closed it’s internet doors to all but paid subscribers. For years it had been a source of great reading on every possible aspect of wine, food and travel. It was a place you could count on to hear first of new wines, wine regions, and opinions of all types. Henceforth, it will cost $99 a year to take part in the dialogue or even read what others have written. It feels like I have lost a friend as I spent many hours enjoying that board. Philadelphia magazine and The Pennsylvania Liquor Control Board Present The 9th Annual Philadelphia Wine FestivalSaturday May 8, 2010 The Philadelphia Marriott Downtown. Over 150 of the world’s finest winemakers and winery representatives will be pouring their wine at a GrandTasting and an exclusive VIP Tasting. At the VIP Tasting, guests will sample vintages of some of the most prestigious wineries from around the world in a more exclusive environment than the Grand Tasting. Winery representatives will include winemakers, presidents, and brand ambassadors, all available and interested in discussing your thoughts on their wines. Includes Grand Tasting Admission. $5 Processing fee per order. Admission is limited. Philadelphia Wine Festival VIP Admission Saturday, May 08, 2010 at 5:00 PM. The recent earthquake in Chile not only brought death and destruction to the people and structures of the country but it also proved devastating to the Chilean wine industry. The 6.9 tremblor resulted in a loss of over 100 million bottles and an estimated loss of as much as 30 BILLION to the country’s economy. Wine from Chile has gained great acceptance in this country and despite the tremendous loss, sources say, there will be no noticeable shortage of these wines on the shelves at your local wine shop. The main wine producing region of Chile, the Casablanca Valley, was spared and only small losses were experienced there. The Maule Region was hit the hardest with an approximate 12% of their wine destroyed during the quake. Now that I have been there and loaded up on my own supply I can tell you that the wine pictured on the right, The 2008 Pillar Box Red, one of the great QPR (Quality/Price Ratio) wines of all time, is available while supplies last at your neighborhood PA State Stores as a Chairman’s Selection at the ridiculous price of $6.99 a bottle. This wine normally sells (and currently sells in most NJ wine outlets) for $12.99 a bottle and that is not a bad buy. You can spend $12.99 for a lot of lesser wines than this one. If I were you, I’d stop reading this nonsense right now and hurry over to your nearest State Store while this yummy juice is still available. Conde Nast Magazine called Talula’s Table “the toughest restaurant reservation in America”. It is ranked #3 in difficulty by GRUB Magazine; ahead of the prestigious French Laundry in Napa, CA. 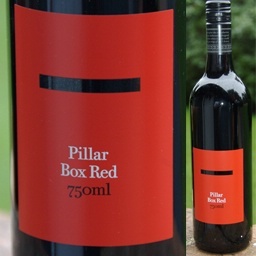 It is without question the toughest BYOB to reserve and more importantly, it is worth the effort. Talula’s Table is a world-class dining experience. It’s been 8 months now since our November 7th, 2008 dinner but the memory lingers on and I wanted to get my thoughts on paper before age began to color them. Before I tell you how I managed to get a reservation let me give you some background on Talula’s Table. First of all, it is just what it’s name says it is, a table, a single table that seats 12 people. It is located in the back of a store selling gourmet specialty foods such as cheeses, sausages, fresh pastries, home-made salads, breads and olive oils. They can make you a quick lunch or you can order entire meals to go. At 7PM the store closes and attention is focused on the lone dining table in the rear. Chef/owners/friends/lovers/spouses Brian Sikura and Aimee Olexy who previously owned the super- popular Philly hot spot, Django are responsible for this culinary wonderland. The food and presentation are top notch. The menu is seasonal and changes about every 6 weeks. When we dined there on November 7th of last year my wife Kathy and I were joined by five other couples, some from PA and some from NJ. For us Jersey residents it was almost a 90 minute trek out to Kennett Square. I did not make notes on either the food or the wine but I have recently noticed that a gentleman named David McDuff who publishes a blog titled “McDuff’s Food and Wine Trail” dined at Talula’s a few days after we did and posted an excellent review of the meal, which featured the exact same menu as ours. It makes for an interesting read. I do remember we had some nice German Rieslings (Spatlese), A few Pinot Noirs from Oregon, O’Reilly’s was one of them and the Chateau Souverain Cabernet. All of them complimented the meal nicely. We spent a good four hours enjoying the 8 course menu, each dish enthusiastically explained by the knowledgeable server. 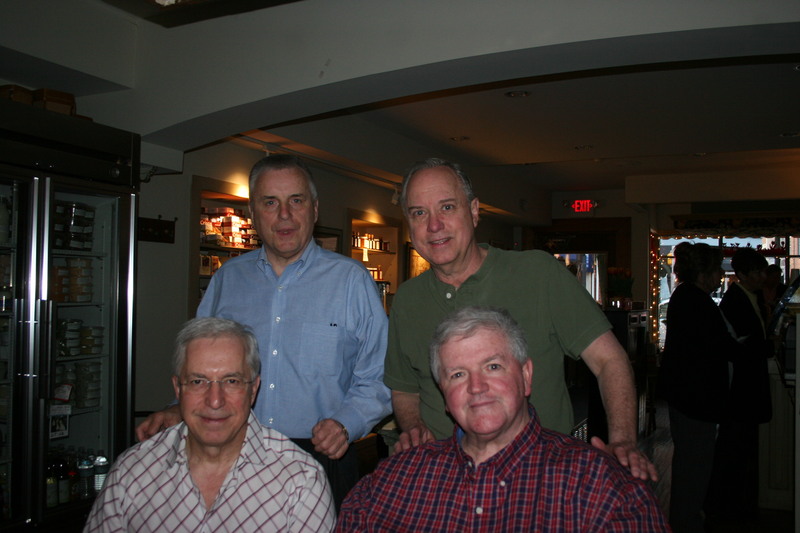 The total bill, with tax and gratuity was $125.00 per person. It was well worth the cost and all of us look forward to one day duplicating what was a thoroughly wonderful dining experience. Here is how our reservation came about. I had called Talula’s in the summer of 2007 and was told they were booked for the rest of the year but would resume taking reservations on the first working day of January of 2008. On January 3rd, 2008 I came home from work at 5:30 AM and stayed up until the 7AM stated time when they would accept calls. I began dialing, and dialing and hitting re-dial while almost falling asleep, saved only by the irritating sound of the busy signal as I competed against other insane “foodies”. I was about to give up when an actual female voice said “Thank you for calling Talula’s”. My first response to her was “I have to be nuts to be doing this.”. She laughed and said “Nooooo..you will really enjoy the dinner, trust me.” I then received the next earliest opening which was over 10 months away. It was worth the wait. Hmmmmmm..it’s almost 7AM, I wonder if I called today…..that meal was really good….